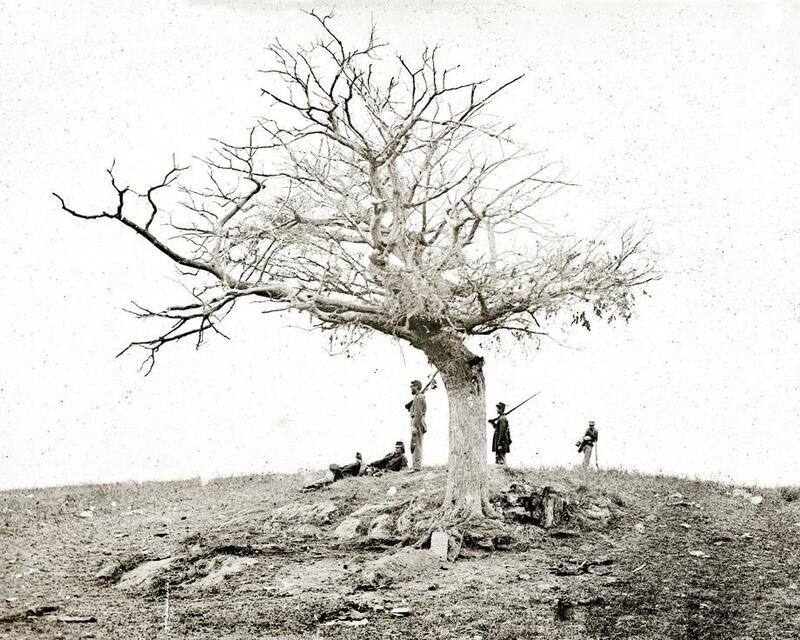 Alexander Gardner’s Antietam battlefield photos changed photography and war. Alexander Gardner made these incredibly powerful images before newspapers could even print photographs. Related: Robert M. Poole revisits the Battle of Antietiam on its 150th anniversary. A lone grave on the Antietam battlefield. 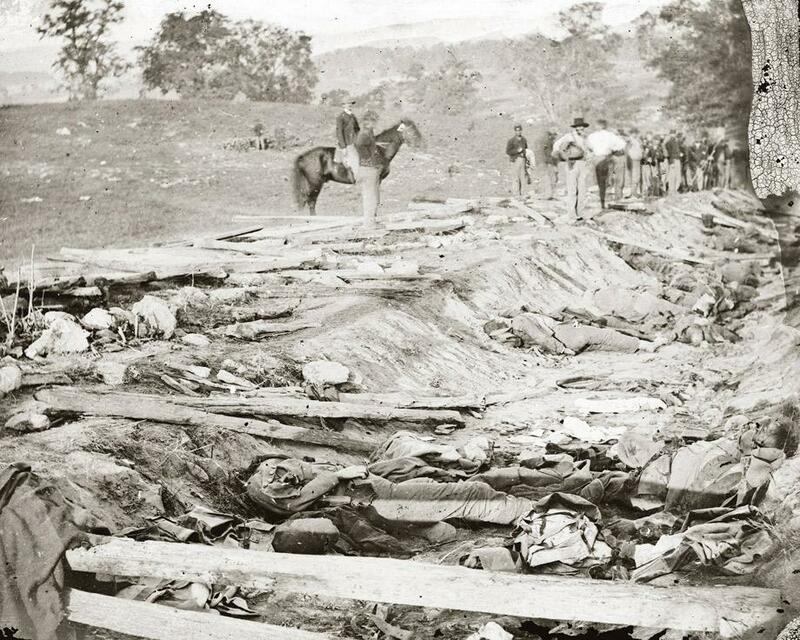 When Alexander Gardner arrived on the bloody Antietam battlefield in 1862, with his cumbersome photography equipment, he set out to do something that no one had ever done. 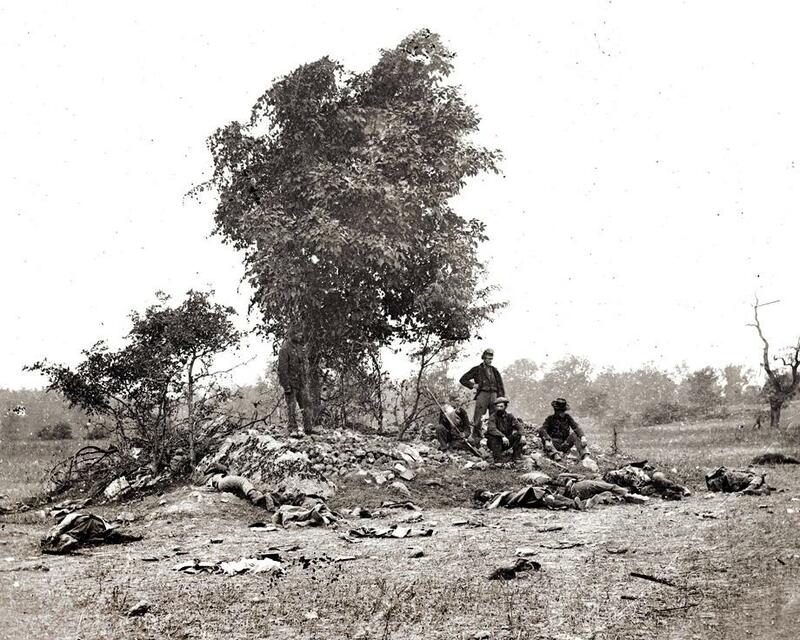 It was the first time a photographer attempted to document a battlefield before the dead had been cleared away. 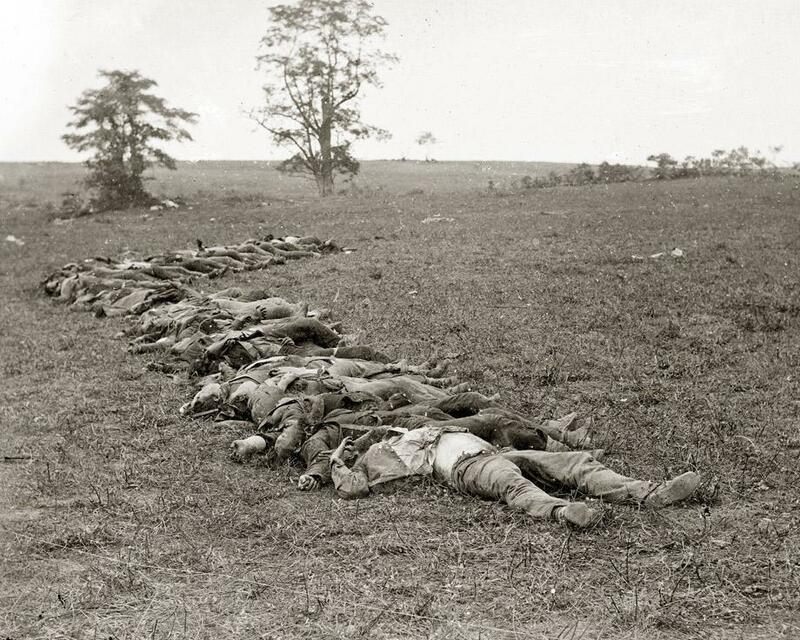 It was unclear exactly what would become of these incredibly detailed images soldiers burying the dead and bodies zig-zagging across dry fields. At that point in time, newspapers could not yet print photographs (only wood cuttings of images) and no such work had ever existed. About one month later photographer Mathew Brady exhibited the work in his New York studio. Even all these years later the photos are still often referred to as the most powerful battlefield images of all time. It is hard to process what the experience of seeing them must been like for people who had rarely been exposed to any sorts of documentary-style photos, let alone images of war. The images did not simply reveal the crumpled dead and deflated survivors in incredible detail; many of the images did so in 3-D. Gardner employed a new photographic technique at the time—the sterograph. Two lenses captured two photographs simultaneously, which provided a three-dimensional image when seen through a viewer. In parlors across America, people stood with their viewers and processed the reality of battle in unprecedented detail. 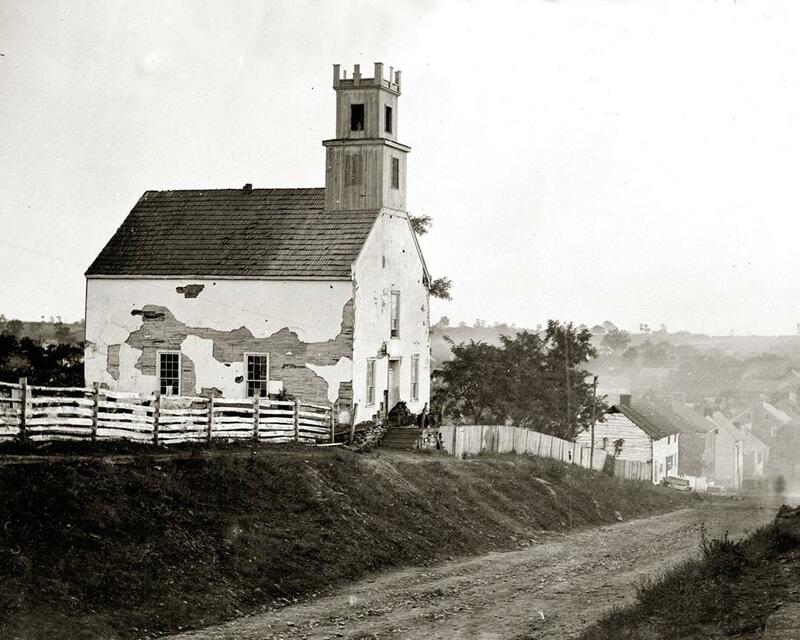 The following images were taken during Gardner’s two trips to Antietam—the first two days after battle and the others later when he returned during President Lincoln’s visit in October. The burial crew at work. 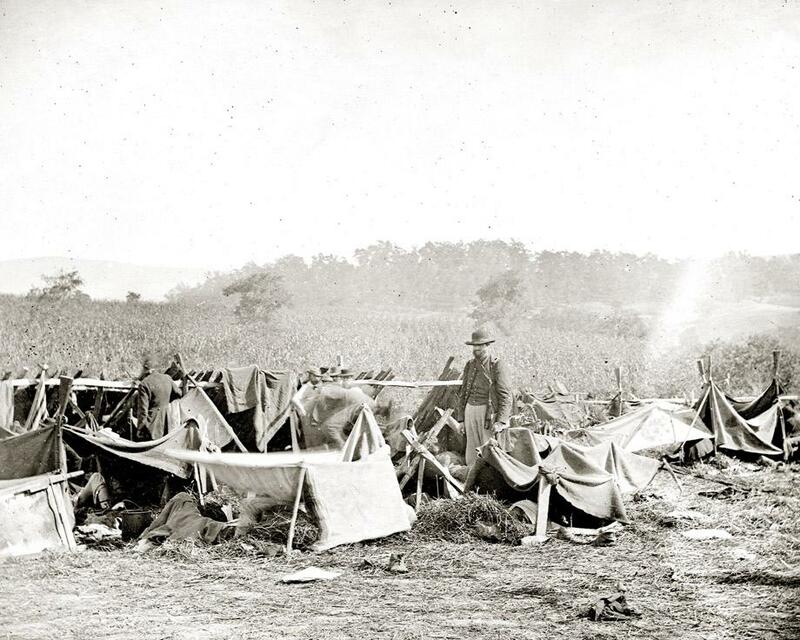 A group of artillery officers on the Antietam battlefield. Two lenses captured simultaneous photographs. When seen through a viewer, this image appears three-dimensional. 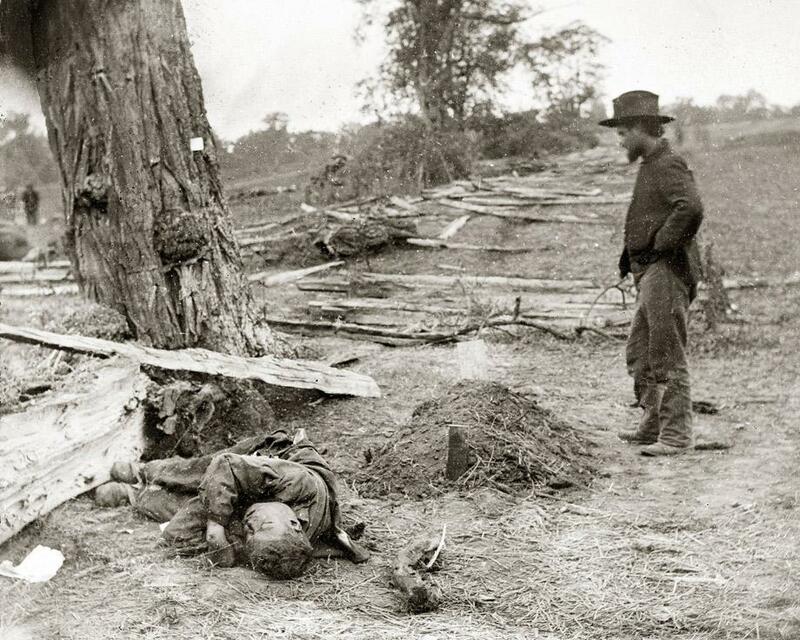 A Federal soldier is buried, while a Confederate lays unburied. This level of realism in war imagery was unheard of at the time. The dead fill what would be known as Bloody Lane. The dead are readied for burial. In addition to photographing the dead, Gardner carefully documented the impact on the landscape and architecture. A signal tower overlooking the Antietam battlefield. 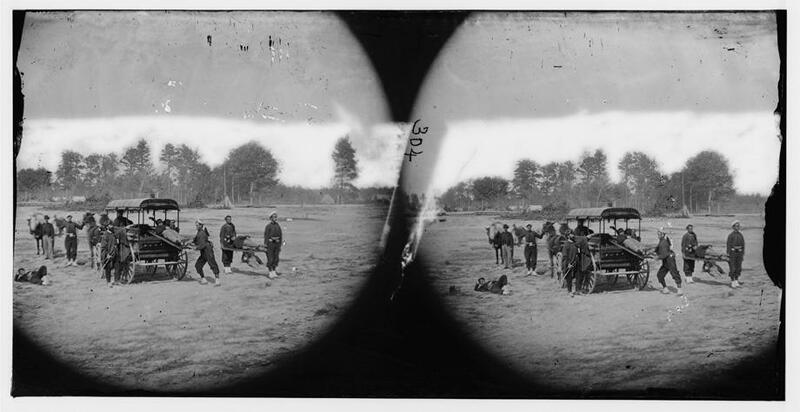 An ambulance drill in the field, likely taken later during Gardner’s second visit to the battlefield. A picnic party at Antietam bridge on Sept. 22. 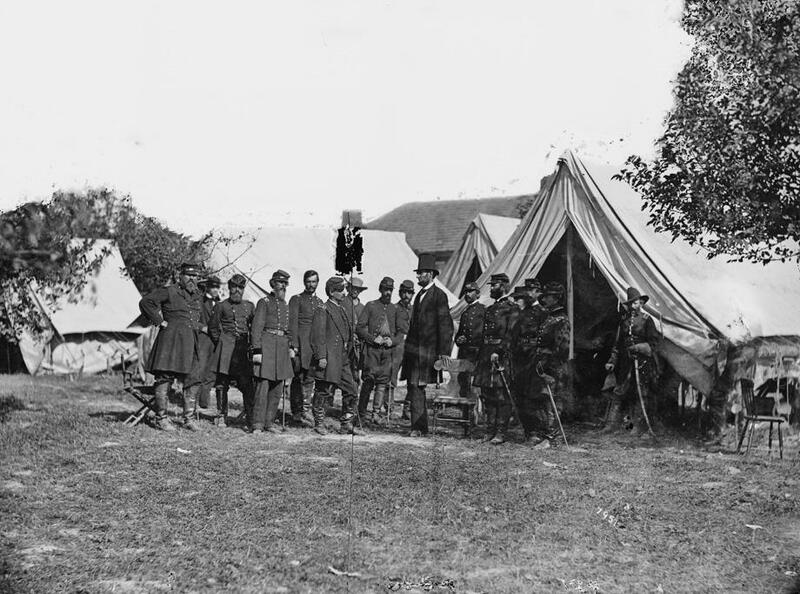 President Lincoln with Gen. George B. McClellan and group of officers on Oct. 3, 1862.